Wednesday at 10 AM there is a gathering of solidarity to support the Wet’suewet’en in their fight against Coastal Gas Links. Supporters will meet at the Friendship Center at 3955 3rd avenue on Smithers. 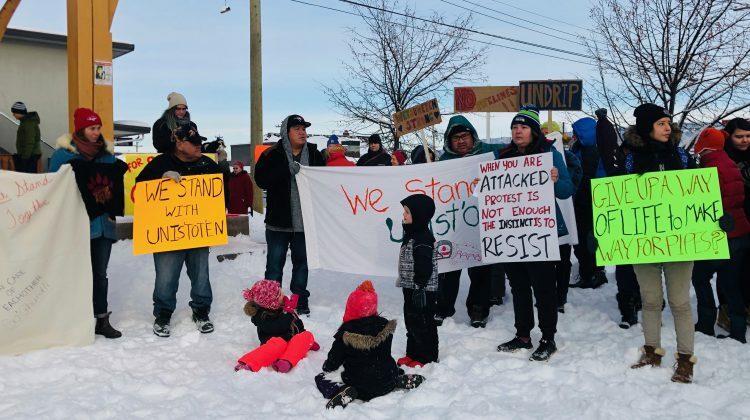 The gathering will start with speeches from Wet’suwet’en Chiefs then finish with a walk of solidarity down Main Street. The walk will start at 12 PM, during which time Main Street will be closed. Chiefs from across BC have flown in to show their support for the Unis’tot’en and Wet’suewet’en.